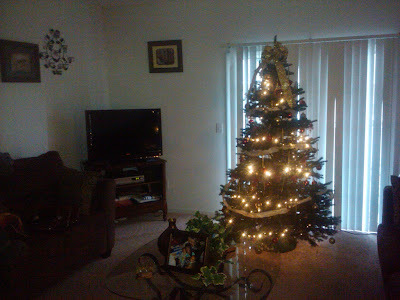 We put up our tree last Wednesday, Dec.1 and it looks a lot different now. But I like these photos because it shows the special work of J.R. and Landen. They handled the bottom of the tree, lol. Can you see all the ornaments at the bottom? 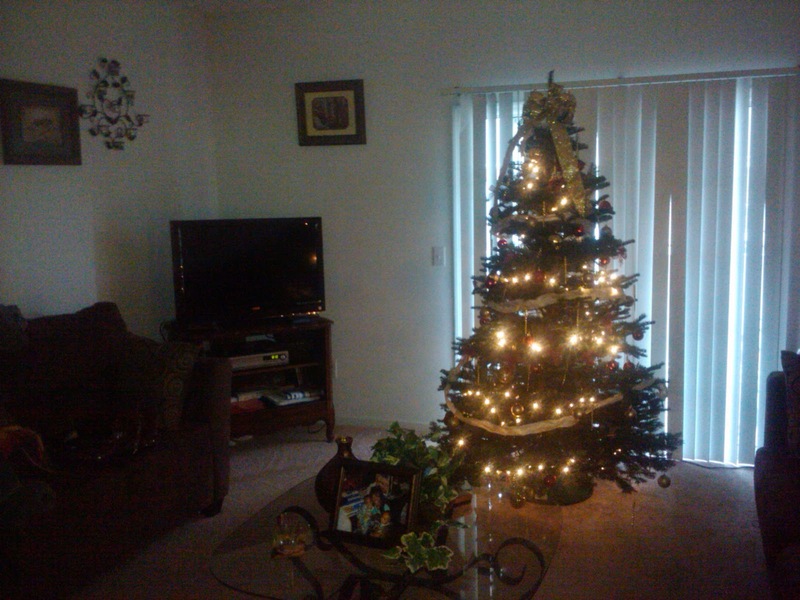 We had so much fun putting the tree up, and no I don't do fake trees, lol. 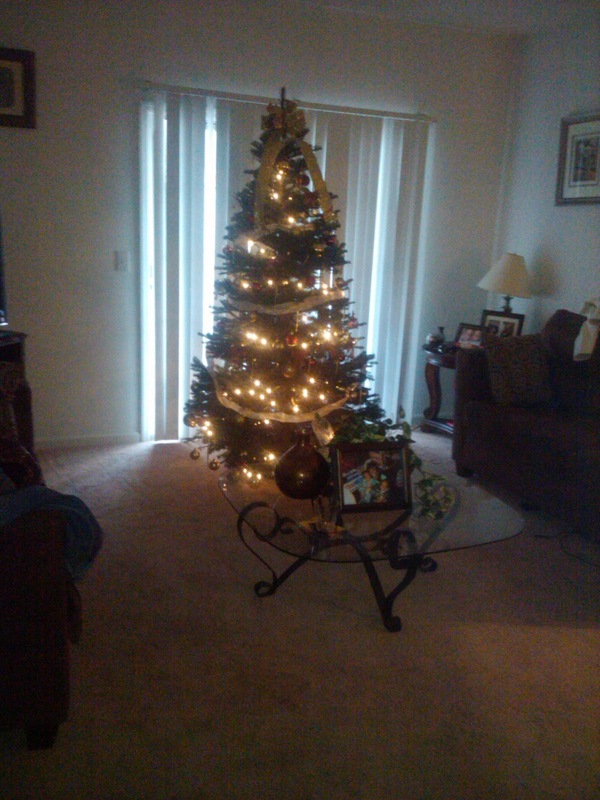 I just love the feel and smell of a real tree, but I do hate the damn pine needles, that stay on the floor. I have to water and care for this tree. I have the gifts hidden and I will NOT be putting them out until, the night before Christmas. J.R. and Landen still believe in Santa and I love making each Christmas Morning magical for them. i love the feel and love during the holidays..especially christmas! and the time spent with loved ones decorating the trees and wrapping presents! its suc a great feeling to give!!! your tree is cute. i wish i had someone to celebrate with christmas this year because i'd get a tree..or maybe i should just get a little mini one for myself since my bf will be with his fam.